Soooo creepy! 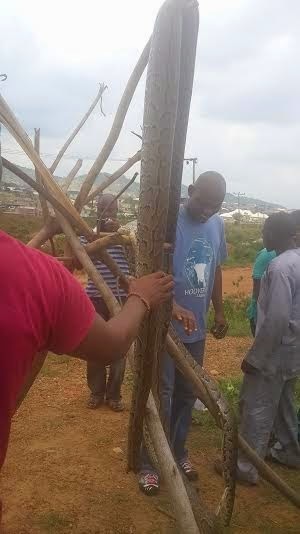 an extremely long snake has been spotted in Gwarimpa district of Abuja. Those who saw the snake said they have never seen a snake this long in their life. I'm just in lurve with the Snake skin. You can imagine rocking exotic, durable, and magnificent snake leather bags, shoes, wallet etc... awesome!